Discussion in 'Spell Casters' started by mystery_11, Nov 5, 2017. I want to share my experience with psychics in Kasamba.com. Kasamba is a platform for real chating with psychics and they give you readings. I have tried many of them and I believe several psychics are fake. But for 2 different situations I was chating with 2 different psychics for long time and when nothing was happening after a lot of time they both told me that the destiny has changed and nothing can happen. Specially with the second one I was chating for 2 years. She stole from me more than $20,000. This is the link of her http://www.kasamba.com/psychic/spiritual-spirit-reuniter/. Now kasamba has a new platform as well, so she can be found here as well https://www.bestpsychics.club. Yesterday I found her there and I went online and I told her what i will do. She didn't know it was me in order to block me but after the call she blocked me there as well. She was telling me that by hook or crook he will break up and be with me and they are still together. After 2 years of chating with her and I was seeing some things in the end that opened my eyes she told me that she tried a lot with prayers but the other girl had spells on him and the destiny changed and so on. She was always giving me hope to hang in there and things will change. And it was going from month to month. The bad things that happens when chating is that you get connected with this people and you can't see clearly. It seems like you are blind and you believe everything in your desperation. After getting all my money she saw how much damage has done ot me and she told me to continue my life and something better will come in the future. What she was doing after some time is that she was asking me to rate her good so she can grow her customers. I have rated her more than 400 times. Yesterday i asked Kasamba to delete all the ratings from me and they did. So she appears to have 400 ratings less now but she has around 3750. But again i have seen repeated customers to her. One is for 3 years and more and she is keeping her with hope sometimes she says in ratings that nothing has happened but she hopes soon. I feel so sorry because i was in the same situation and since one of my friends was brave enough to tell me how he is with his girlfriend then she told me that things has changed and so on. Kasamba as a platform is very professional but the thing is that people who participate there are scammers. First of all after one month you can't rate your session any more. And that is bad because everyone rates after the chat and not when the situation has been fulfilled like people do with Ashra. Secondly if you rate bad one psychic then they block you so until you know you are done with this psychic you can't rate them bad. Most probably then you can't rate your sessions because it has passed the month. I would have ruined her reputation and noone would chat with her if I was allowed to rate now but unfortunately I can't! She even this summer told me that she would try to give me a refund and to wait 1-3 months. But after that she never answered me! I asked Ashra about her and Ashra was true! She told me that she doesn't have any intention to give me back any money and that she has promised the same to other people as well. I didn't want to believe Ashra at that point as I was having hopes to get back some money but Ashra proved to be true! She has never replied me after that message. I really want to ruin her reputation and tell the truth so future customers stop chating with her. One thing that make me believe in Ashra (even though I fight a lot with her when I don't see any movement fast) is that she has grown her reputation by her own and by her real service! All the scammers use platforms and hide in anonymity! Has anyone else had any experiences using psychics on Kasamba? Hi @mystery_11 From my understanding Kasamba is a psychic network what allows people who "claim" to have psychic abilities to join their team. Kasamba provides a platform for psychics to find new clients. However, Kasamba assumes that the psychic who is joining isn't lying about their skills. Anyone can join, and they do have a process before you can officially start taking on new clients on their website. It doesn't matter which psychic network you use, most of them have a fair number of fake psychics or fortune tellers who pretend to be gifted and rob you out of your money. I'm sure Kasamba does have experienced psychics who have a good reputation, but unless you know what you are looking for, it can be hard to tell which one to trust. 20 grand is a lot of money. You should be contacting Kasamba's headquarters, upper management, and explaining everything she did to you. Tell them that you either want your money back or to have this psychic removed from their website. Kasamba is a big corporate company that does care about their reputation. However, they should not be allowing psychics to hide under usernames. If someone on their network scams a client, they should be held accountable to remedy the situation. @mystery_11 I ran through multiple websites and I do remember that particular website, Kasamba, before finding Ashra. Something seemed fishy to me upfront so I never tried their spells. I was drawn to continue looking for someone else who seemed to be very legit, and who had a lot of good reviews and a website that looked well put together. I ran into Ashra's forum which led me to her website. It took me days of researching before I finally reached out to her. She was quick to respond and seemed very pleasant. I do believe in Ashra and her spells. I see signs here and there and remember my lover being in my dreams every so often too. I haven't had any big movement and have been working with Ashra since March. I have more than ten spells going for me right now. I know in my heart that Ashra is doing everything possible to get my lover back. However, I am such an impatient person that I think the spells are set to not only make me become more patient but they are having to work very hard on my lovers stubbornness. He has fears to get over and hopefully, the spells are manifesting and will bring my lover back by next year. And since Ashra has become so popular it is hard for her to focus strictly on just you so it's a waiting game. I think I was brought to Ashra also to build patience in me. It is definitely working! Thanks for putting Kasamba's name out there! Now people who find this forum will know that Kasamba is a low life, no good scammer wanting to take your money!! And thanks to Ashra for letting us ALERT others on her forum!! @mystery_11 I have used Kasamba in the past and like you wasted a lot of my money on them. I used to try different supposed pyhchics on there week after week they would basically tell me the same things to keep me coming back. I guess and when things didn’t change in my situation I’d be back chatting to one of them. I lost faith in their psychics when I went back to one of them I used frequently and I noticed she had said the same things she had said the weeks before word for word. However, I don’t know something kept dragging me back to them. I would even get emails from Kasamba offering me a in-depth readings which a few times I got it was only when I one day searched google and came across Ashra and asked for her help. Since finding her, I have never been back to that site since and I’m so glad I found Ashra as I’d probably still be going back to Kasamba listening to all there rubbish from one of their psychics. It’s sad that there are so many sites out there that are allowing psychics to advantage of many people in love situations and we all believe them because of how vulnerable we are in that moment. I’m so glad you put this up about this site as I always wondered how many psychics on Kasamba are after your money and now I know for sure that there are quite a few of them. I hope it helps other people to see also and be careful what sites you’re going on and asking for help. I would never ask anyone else now apart from Ashra Koehn. I trust her fully and know how hard she works for me and all of us to reach the desired results with our loved ones or life. I've never heard of Kasamba psychic services before, but that is so terrible that a couple psychics from their network conned you out of 20 grand!! Money is so hard to come by for some people, and I know that I would be devastated if I lost that much to a fake. Ashra's spells would be worth spending that much, but as I have stated before, she will never make you purchase more than what you can afford because she cares about her customers like family. Thank you for bringing this up. Hi @Andria thank you for your advice! I just contacted customer support and they removed my ratings but they told me they are not responsible for the psychic they have in the platform and that they are some that are higly rated and she could provide me links. But you are right I will complain at least if I manage to get that witch out of the platform! but also today that I read on the internet other reviews I read that some of them have double accounts! It's crazy! How can I get contact with headquarters of Kasamba? Does anyone know? @Lollielou I know how you felt! I tried many as well but I got stack with her! She had one ability and that was to understand what I wanted to hear or had some ability to see what has happened, but never could predict the future! Or I don't know why I was so desperate at that point! I think I was depressed also! She seriously ripped me off. Still I am behind with money since all that amount was huge! And when I woke up I realized that me and that guy could never be together since he is totally different from what she has described to me and she was saying we are soulmates. I made the mistake of contacting her for this situation as well, but 2 days later I found Ashra and after that I told the psychic from Kasamba to never get involved with me again! I need to find how I can send her emails to the Kasamba headquarters so at least I can make her some damage in the customers she has! She has ripped couple of others as well but they still haven't found out about that. They write in comments that nothing has happened for 3 years but still go to her. I think it's because they are so afraid to lose their money for nothing and they still lose even more money and energy. I think I couldn't function at all when I was talking to her. When that psychic from Kasamba told me the situation is over then I was able to find a job and be normal person again! I know I am really lucky I found Ashra to work on my current situation! And I know she is doing her best for me! I am with ups and downs because of the other situation that held me behind for 2 years with someone that could never be a good match for me! I was just blind at that time! I know Ashra would have never done this! When I spend she tells me always be aware of your finances. I know even when I fight with her that I am wrong! And I fight a lot lately because my patience is broken from all the rest things that has happened in my life and I can't wait this stubborn guy to come to senses and continue our journey together from where it stopped! But even when I feel lost I know it's temporary and I need to go back to positivity and wait for the results! I have been seeing in the past but my impatience brought us here now where I need to wait even more than I should! Now I really need all your ideas and creativity on how to stop that lady from cheating on others. When I met her she had 1000 something reviews. Now she has 3700 and had more than 4000 but mine are all removed. Sent an email to Kasamba support with her last email and I told them I need someone to help in my situation and redirect me in someone higher in the hierarchy. Will keep you updated. I have been customer of kasamba for more than 3 years! I have been chating with many but noone proved to be real! What they do is that if you rate them bad they block you! How can an advisor could block the customer? I was talking with one for 2 years! She was always giving me timelines for 2 months, and then little bit more and then she will try with prayers and so on! For 2 years! And also she wouldn't get any session before I rated with 5stars the previous. So she got to have like 400 ratings from me. When I got to know the real situation from a friend she told me that the destiny changed and so on but in the meantime I have lost more than 20.000$ for 2 years. Please to future customers! don't trust any in kasamba! I have tried many and they are all scammers! They can't find any other way to cheat people so they use this platform in order to get customers! And they cheat them for sometime as they did with me. I gave many chances but now they is no way for me to use anyone there but my mission in to stop others from getting to the same situation as me! Of losing energy and money. This is the psychic I am talking about is Spiritual Spirit Reuniter. Unfortunately it's allowed to post links on the review so please don't reach her. But also don't trust anyone there! I am talking from personal experience! They will only tell you what you want to hear so you become the customer and then is really difficult to change. You should be in very clear mind state to understand that! Most people who go there are desperate for their situations and need an answer and they get what makes them feel good but these answers are not related to reality at all! Update on the email from kasamba! They offered me a 50$ coupon for the next chat! This is to laugh loud! I have lost thousands of dollars! Do they think i need their 50$? Their top rated psychics are fake as well since the ratings happen before seeing results! I wish I was smarter before trying them but my desperation made me blind! Either they should change the way of rating and let the possibility open to rate after the result they promise is done or please don't trust any of them! I know in our desperation we need some hope and clarity but the reality soon or late will be revealed and we will need to face it with less money in our pocket!Please people be aware! I will ruin her all around. When I submitted this review I completed a form that Kasamba wanted more info to contact me. I hope they do! and I gave them 2 options! Either full refund or her to be out of their platform! Hmmm... Chances are Kasamba has a Terms of Service Agreement that protects them from any liability caused by a psychic on their platform. What I would suggest doing is getting them to reveal the personal information of the psychic who goes by the name "spiritual-spirit-reuniter". Once you know the true identity of this psychic, you will have a lot more leverage to go after them legally or to force her to pay back every penny she took from you. Do you know her email address? Can you share it? Just looking at her makes me want to and beat the out of her. I feel your pain. @Andria I know Kasamba has a protection for themselves, but I will try to get her (a.k.a spiritual spirit reuniter) out of their platform. Yes that face is like devil! And she was talking to me calling me sweetheart and like she was caring for me and she didn't speak that well english so she told me she didn't have a lot of customers because Of that but she is real and she will help me in my situation! So stupid me I believed her! I was soooo desperate! Can't believe what I did! Well I have forgotten the money but I won't let her continue that easy. I will do my best to ruin her reputation and I hope people are smarter than me and look for reviews! I never did that! I was so innocent and stupid let's say! @mystery_11 Do you know her email address? Can you share it? I agree that talking about your experience about her on this forum is going to bring awareness and avoid others from being ripped off by the woman in the picture above (a.k.a Spiritual Spirit Reuniter). @mystery_11 I know it must be hard as you lost a lot of money on this site and with this perticular psychic and they have taken your ratings down but as to them refunding money back I can’t see them doing this it’s a shame they can’t get spiritual-spirit-reuniter removed from the site if fthey know how much you spent on there and she was giving you false hope. I had the same thing happen I was in a relationship with this man and I got the same things said to me he’s your soulmate he’s just having problems right now how wrong was they only for me to find out myself he was married and was lying to me all the time so I was believing all they told me what was so wrong and the man who helped me though all this and the heartache of what I found out I fell deeply in love with and know he’s the man for me and thank god I found Ashra to help me be with him and bring him back into my life as like your love he’s stubborn too but I know we are meant to be together and Ashra is always there to help. I know it can be hard being positive all the time I do get my down days about things and miss him but I just say to myself come on pick yourself up think positive and positive things will happen and I know I’m in good hands with Ashra helping me. 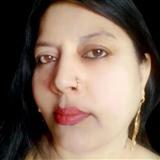 I really cannot understand why people, especially the ones who post on this forum, seek out and go to quacks like (Spiritual Spirit Reuniter) after find a real person like Ashra who has been casting spells and doing psychic readings for 17 years. There has to be a reason and perhaps someone might like to englighten me. Oh my! That picture of her doesn't even look genuine at all! She kind of comes off as looking EVIL. I hope you get your money back! That is really heartbreaking and I hate how people try to take advantage of others! Thank you for sharing this so hopefully others will know she is nothing but a scam! It is so distasteful and I wish you the best of luck!! I am glad you found Ashra!! @Nemo She found a psychic who goes by the name Spiritual Spirit Reuniter on Kasamba prior to finding Ashra Koehn's services. Most of use have been thought many other spell casters and psychics prior to finding Ashra. I don't believe anyone is interested in trying anyone else at this point in time. Ashra is my go-to person when I need help with anything. @Nemo I was chating with this lady from 2014-2016. After that I stopped since I got to learn the truth! Unfortunately I wasn't that lucky to find Ashra at that time. I got to know Ashra only in March and after that there is nowhere in my mind to try any other! I know, if Ashra can't help me then no one can! And I am saying this with all my heart even though I was fighting with Ashra the whole weekend . She was really patient to deal with my pain and frustration! So I just made this post in order to see if others have any experience and what to do maybe to get others to know about the spiritual-spirit-reuniter reputation from Kasamba! that's all! Now I am working with Ashra for another situation and not the same that I was working with her! So I am really lucky after a lot of mess and pain to have found Ashra! Hi! Mystery 11; I will not "fight" with Ashra as she is the real deal. Her face, from her photos, shows kindness and understanding. I myself, at times get frustrated when Ashra doesn't reply my e-mails right away, but I put it down to some problem or the other at her end like too much work, ill health etc. My advice is, after finding Ashra, NOT to contact anyone else as it would be a waste of your money. @Nemo There is no plan to try any other after working with Ashra. I'm done with Kasamba. Either I get success with her or I just quit trying all the rest. I am convinced that if Ashra won't be able to help me then no one else can, so I will try to save my energy and money because this kind of process is too frustrating for me and is difficult to handle all this stress. It's a lot of pain when you realise a psychic from Kasamba has taken advantage of your desperation so I don't want to be on that position again! I openly admit, I was one of those people who went through a few fakes before finding Ashra. I can only imagine what the psychic from Kasamba (spiritual-spirit-reuniter) did to you. Sometimes, it is embarrassing to say that you have been scammed, but just realize that you're not alone and that we were all at a point where we didn't know what to look for when finding a legit spell caster. So many psychics them disguise themselves as genuine, but then later turn out to be fake, and are just waiting to prey on your desperation to get your lovers back into your life, but thanks to Ashra's wonderful forum, we can learn ways how to avoid getting ripped off. Honestly, I believe once you end up working with Ashra Koehn, you've found the Holy Grail; there is no need to look elsewhere. SHE IS REAL AND SHE TRULY CARES ABOUT US ALL!! Kindness in the spell casting business is such a rarity. Trust me. Look no further than here. You've finally made it to the right place. Update from Kasamba. They sent me an email and they told me that their refund policy is 7 days after the chat with the psychic and I told them that is not possible because everyone there gives you a timeline of 3 months at least! I sent them a screenshot of her email in June where she was promising me to give me back money so let's see what will happen. Either i will get some money back or at least I will try to kick her out from there. My fear is that she will try to make another account but again people on net won't be able to find her easily as through kasamba she can't give her details! will see but I won't let her in peace! Sharing this situation with all of you gave me the energy at least to try! Until now I was doing nothing! Thank you everyone for your support! I hadn't a reading done from Kasamba on my ex boyfriend when we broke up asking if there was any chance we would get back together at first she told me what I wanted to hear saying we would get back together and we would be even stronger this time and so on then she went onto telling me there was another girl after him but couldn't tell me her name? I thought that was a bit odd and that I should do a banishing spell on her to keep her away from my guy or she could slide in before I have the chance to get him back I hoped it wasn't true and still hope he wouldn't move on that quickly after me and she charged me £300 to do that spell and a spell to make him return to me I thought it was fake and didn't carry on with it as I didn't have the money either and after that I saw story's how that website I came across was a scam. I really believe Ashra is the only honest spell caster I've found and actually trust. When I read about all the fakes parading around, I think about how I have consulted a lot and lost a lot of money in the process. I really don't understand how or why a few people would want to make money out of the misery of a hurting person. I wonder why are people cruel. My heart is really broken and each day I lose hope just a little bit more though i still want to hold on a little bit longer. I really need a lot of encouragement to get through this period but my ultimate joy will be having him back in my arms. Hello Mystery 11. Personally I think you are wasting your time by being in contact with this Kasamba group. You have asked for your money back and wait a reasonable time- say up to one month max and then take whatever action is necessary to get a refund. Once people start ignoring the Kasamba group, it should die a natural death. Mystery, I feel sorry for what had happen to you. $20,000 is a lot of money. You could buy so many things on it. What a people they are. Anyways. What is the best thing for now is let it go. Forgive them but I know you cant forget that Psychic reader in which you titled here in the forum. Just believe on Ashra. She can read too. Its hard to believe but its true. So many members here will tell you that all her readings came true and real. Let that person pay it in heaven and received bad karma. You already release the money. The more they did bad on you the good thing will follow. Let it go with the wrong they did to you so grace will come on you openly. Good luck and always smile. Nice meeting you also. I have just been reading the reviews on her on this thread and it has actually made me so mad! How can people do this, praying on other peoples weaknesses and making money out of it is so cold and heartless. I also saw her picture as well and she does look evil and not genuine at all... I hope that this will come to light so she will stop targeting vulnerable people and making money out of it, I wish all the fakes were revealed and finally stopped. Update from Kasamba. They told me that they can reopen the sessions in order to rate them and to prevent others from contacting her. I told them that that is good but still the damage I have had from that cheater is huge and I would like a percentage of refund. If they don't accept it then at least giving her 400 bad ratings then she will never get a customer! @mystery_11 I know you will see results in working with Ashra, I have seen a dramatic shift in my situation in a few short months as have so many others. It makes me so sad to hear how you were victimized by that psychic on Kasamba. I hope you are able to get some of your money back and if not at least get that psychic kicked off the site so its harder for her to take advantage of other people and giving false hope to those who are in a desperate situation. The cruelty of people out there is truly astounding and heart wrenching to hear about. Now that is absolutely horrible! A site made to have psychic help other is crawling with scammers? Thank you very much for telling us your story. My heart goes out to you for being with that scammer for more than two years. I am glad that you did infact find Ashra before it was too late. I pray all of your problems fade away, and also Ashra sends you in the right direction to happiness, peace and love. Once again, thank you for telling us this website, we will be sure to keep at bay with those fake scammers. It blows my mind that so many people can do such a horrible thing to innocent people,.. I haven't had any experience with kasamba psysics but I think its very bad for them to have conned people of several thousand dollars.It is so painful to earn money and have it taken away by someone who pretends to giving a certain services only to learn that they are fake.I am glad I found Ashra and I wish I had found her earlier as I would have had my boyfriend back earlier this year. I found Kasamba awhile ago when I was looking for real psychics online. I’m glad I didn’t try it. I don’t get why people want to pretend to be a psychic or spell caster when they’re not. They shouldn’t use people and their problems just to get their money. It’s not right. I hope more people will find Ashra and get help from her. Ashra seems like the only real spell caster and psychic online and the only one I’ll trust.